13 simple brushes for making dust/powder/speckled effects (think snow, cinnamon, salt, etc.) 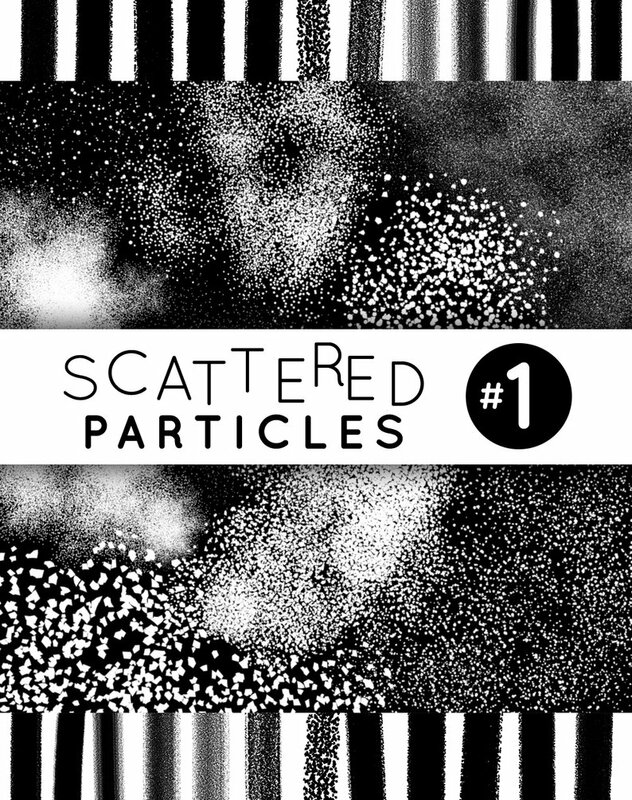 Includes 5 “powder” brushes (all particles are circles of the same size), 2 “dots” brushes (circles of varying sizes), and 6 “grains” brushes (polygons of varying shapes/sizes), with different densities per brush. They work best for this purpose with scattering and shape dynamics on, but they also work as crayon/chalk brushes if you eliminate spacing and turn on angle/size jitter.